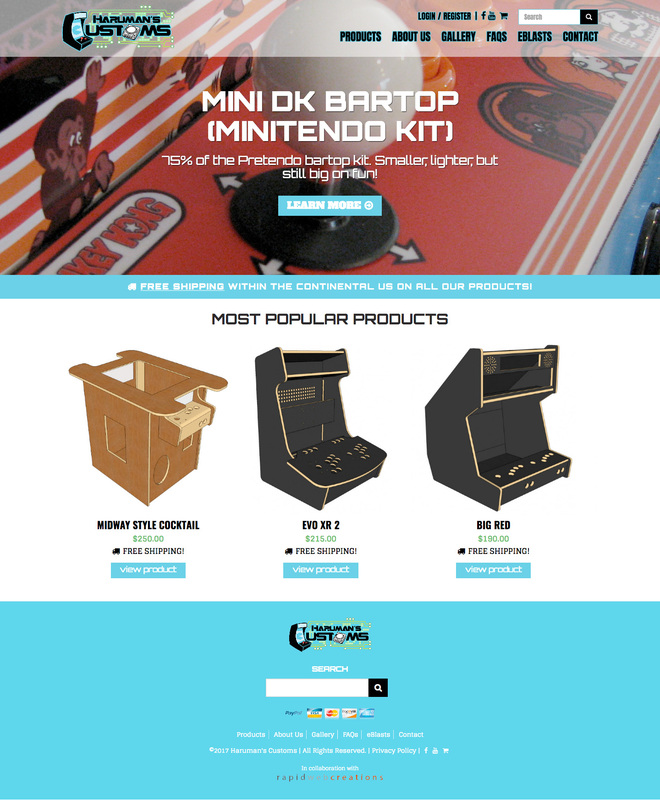 Haruman's Customs is the a leader in the reproduction of bartop and cocktail arcade kits. A local company to Gilbert, AZ, Lee Speer has owned and operated the business which started off making a bartop arcade kit as a gift and then the business just took off from there. Now Haruman's Customs ships kits World Wide! Haruman's Customs needed assistance in consolidating several websites they were managing into one new platform. Rapid Web Creations developed their new e-commerce website utilizing a Drupal CMS and responsive design to provide the best user experience to their customers. Their mobile traffic continues to increase and they were in need of a redesign and a mobile optimized experience. Rapid Web Creations continues to support Haruman's Customs through website maintenance, new functionality and content creation. We are proud to a trusted partner of Haruman's Customs and continue to support them in all their marketing needs.